Water temperatures are important to monitor when fishing in the summer. Trout are a coldwater species and therefore respond negatively to warming waters. Need more information about fishing, stream flows. rigging, and locations? Check out our "Go Fish" page. 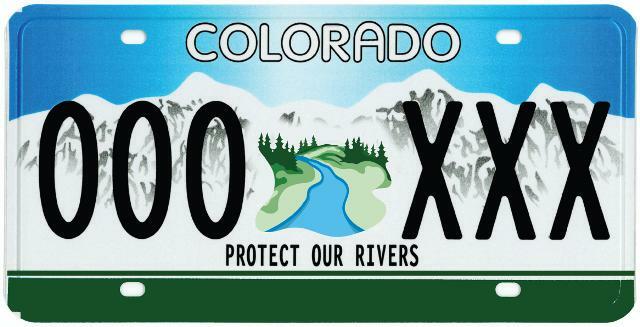 Colorado will see less water in the creeks and rivers this year. Anglers, irrigators, ranchers, municipalities, and recreationalists will all feel the pain this summer, but we are not the only ones. Low flows and hotter days can have serious impacts on fish. With less water and warmer temperatures, the dissolved oxygen content within a stream reach can fluctuate significantly – meaning less holding capacity for fish and bugs. These tough conditions can also affect spawning, migration, and recovery (for example, after being released off the hook). 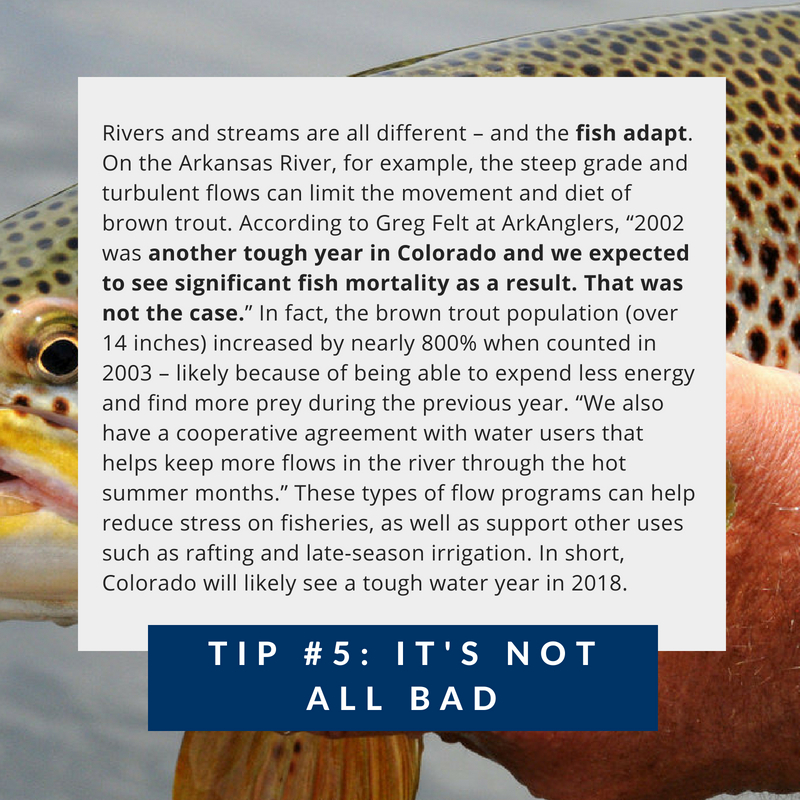 The fish and wildlife will continue to adapt to these changing conditions, but we can certainly do our part to help them adjust. Take this year as an opportunity to explore new watersheds, improve your handling practices, and better understand your local streams. If you have questions about when and where to fish, you can always ask your local fly shop. Dan Omasta is the Grassroots Coordinator for Colorado Trout Unlimited, overseeing 24 chapters across the state.